Serving our community since 1888. Trust is our heritage. Compassion our promise. Since its inception, Green Lawn Cemetery has provided families of Clinton County as a peaceful resting place in the community. 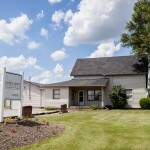 Green Lawn Cemetery proudly offers a variety of time honored services committed to your loved one’s perpetual care. Divided into sections, Green Lawn is the only cemetery in Clinton County to feature a community mausoleum and lawn crypts. 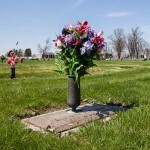 Governing placement of flowers, wreaths and other decorations on places of interment and memorials. Green Lawn Cemetery © 2013. All Rights Reserved.